As if having coeliac disease wasn’t bad enough, you have to put up with people saying some pretty stupid things. I get it – the population isn’t as clued up on coeliac disease and a gluten free diet as it should be, which is probably why diagnosis rates are still far too low. But it can get tiring being asked the same old questions and hearing the same blanket statements. Sometimes you wonder, is it just me? Don’t worry folks, you’re not alone! 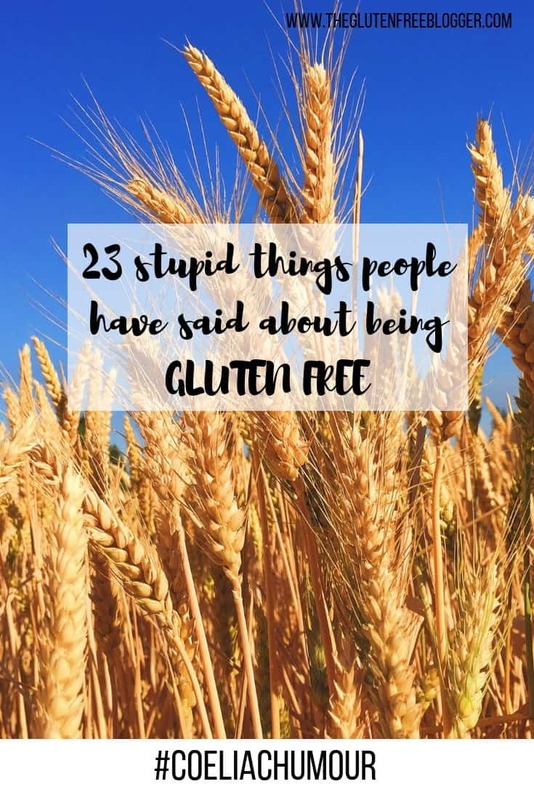 I asked members of The Gluten Free Blogger Facebook group to tell me the most annoying things anyone has said to them about being gluten free. I’ve mixed these up with some of my own personal favourites. Get the popcorn out kids, there’s some gooduns in here! How many can you tick off the list? Being told there is a vegetarian menu in response to asking a restaurant if they have any gluten free food. Being served chicken skewers on top of a pitta bread and being told ‘it’s ok, you can leave the bread’. Ordering gluten free starters in a restaurant – and then being asked if you want a gluten free main too. ‘I don’t know how you do it’ – errr, I don’t have much choice mate! Once I tried to use a language card in a restaurant in Paris to explain I had coeliac disease and they asked if I needed a hospital. 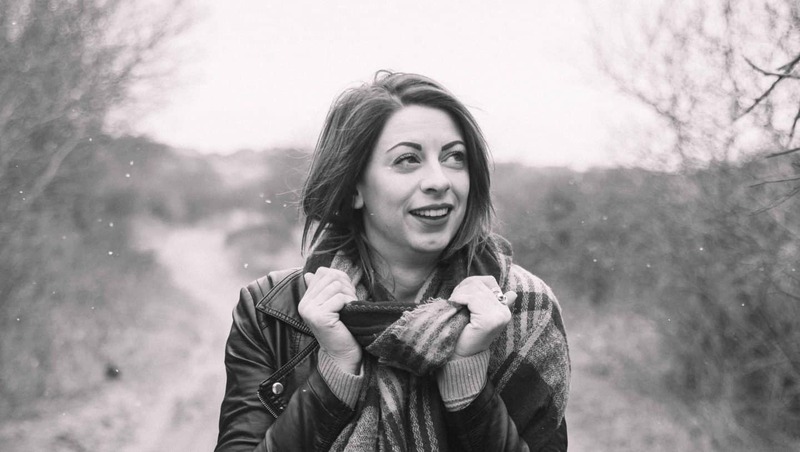 I know there are probably a lot more things people have said to you about being gluten free which have made you want to #facepalm to the max! I’d love to know anything I’ve missed in the comments below – vent your fury! If you want a giggle, give these other posts a read! What is it you can *actually* eat then? I always get asked what will happen if you eat some 😳guess! Calling people stupid for asking about your health in good faith probably isn’t good for you either. I’m sure they can appreciate it’s just a bit of humour! Phoning a restaurant in advance to check that they had a gluten free menu, then waiting staff not knowing which items contained gluten. Was also served ice cream on a bed of crushed biscuit (it only stated ice cream as the ingredient on the menu) and sending it back, amid much confusion. I’ve experienced a similar situation in several restaurants. Better training is needed, as it’s clear that waiting staff are often out of their depth. Feel sorry for them- management should be educating/ providing them with more information on dietary requirements, especially if they claim to offer gluten-free items! Being told that the heat in the fryer kills the gluten…..
My favourite latest one is… go on… have a cake…can’t you just treat yourself every now and then!!! “Do you ever fancy having a blow out?” Yeah why not for fun and be holed up for a day or two with excruciating stomach cramps and not being able to be far from the toilet…second thoughts no. Asking a waitress if the hash browns have any wheat in them (because some do) and being told “There’s no wheat but they do use a bit of flour.” Duh. At a Jersey Mike’s this weekend I ordered the gluten free bun and was asked “Is it an allergy?” I answered yes because explaining would take too long. I run into the same issues with dairy and soy products. It’s amazing how many people don’t know the other names for wheat, dairy, or soy. Another is the “we only eat gf at our house, you can trust my food! !” than when you go there there’s 4 croissants and crumbs everywhere and in the butter and gluten cookies people have been touching and eating and in their honey and bags of flour leaking over everything but they’re a safe place to eat…. Or when I call a restaurant and if they can accommodate Celiac? Silence…than you ask Gluten free and they ask “what’s gluten?” I Hang up. We’ve had all that – mostly, though, I’ve gotten really tired of under-trained waitstaff. Went to a family restaurant with my caeliac husband and two caeliac daughters. When ordering, we asked the waiter if a particular item contained gluten, because the menu was unclear. “I’m pretty sure not…” he said. “Ok,” I said, “can you go become very sure one way or the other because if one of these people eats anything with gluten I’ll be taking them to the hospital at 3 in the morning and I don’t want to have to do that.” He went away and came back. “No one is sure,” he said. We ended up leaving that restaurant. Now we only eat at places where we know what’s what. Some places are amazing, others are duds. once I went to a mexican restaurant and asked if they had gf burritos for me and my dad as we both have strong reactions to gluten. The waitress then said that they only have corn and flour tortillas. my dad and me were laughing out loud about that for the next few weeks. Another thing that is the worst is the low quality of gf food. My schools catering last year was really good about remembering who was gf but usually didn’t have a gf option. My lunch usually consisted of poorly cooked gf pasta (made with rice flour) half the time it was mushy with uncooked pieces in it while others it simply was overcooked. What really bothered me was that my lunch was a dollar extra while everyone else got perfectly good pasta for free with their meal in the salad bar.